In a statement, Samsung, which plans to begin the changes on 15 December, said the update it issued in September that limited charging capacity to 60% “helped to drive a high rate of return”. “This new battery software update is specifically designed to reinforce to the remaining minority of customers to immediately replace their device,” it said. In the US, Samsung said it would issue an update on 19 December that would stop devices charging and “eliminate their ability to work as mobile devices”. 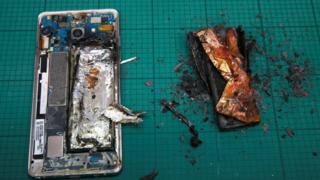 It said about 93% of all faulty phones had been returned in the US. “We do not want to make it impossible to contact family, first responders or medical professionals in an emergency situation,” it said in a statement shared with tech news site The Verge.